Yellowtrace Spotlight // May 2014. Welcome to the May edition of Yellowtrace Spotlight to cure your Mondayitis! 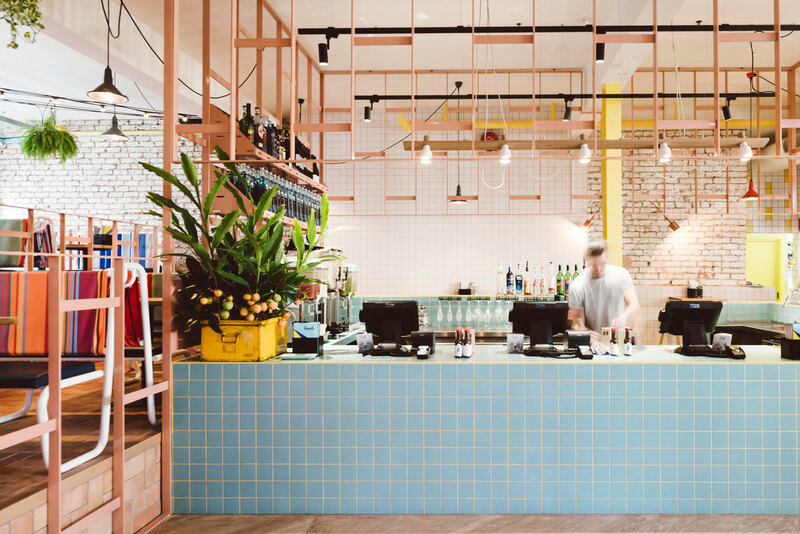 This month we are sharing a whole bunch of Australian design news including a fab new restaurant in Melbourne by Techné Architects, beautiful new products like lighting, tables and stools, fun prints & photographs, Australia’s very first producer of reclaimed timber spouts and much more. So let’s get to it! 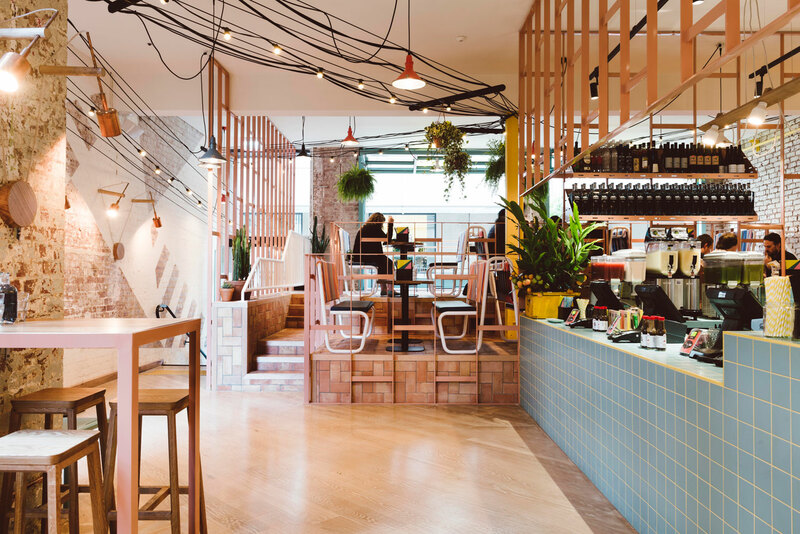 Techné Architects design new casa for Fonda in Melbourne. 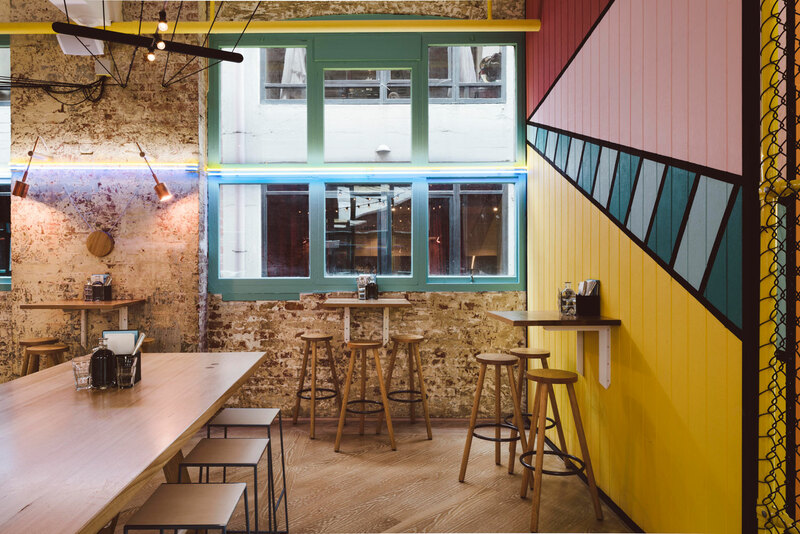 Fonda has opened its doors with a new restaurant in Flinders Lane, Melbourne, designed by Techné Architects. 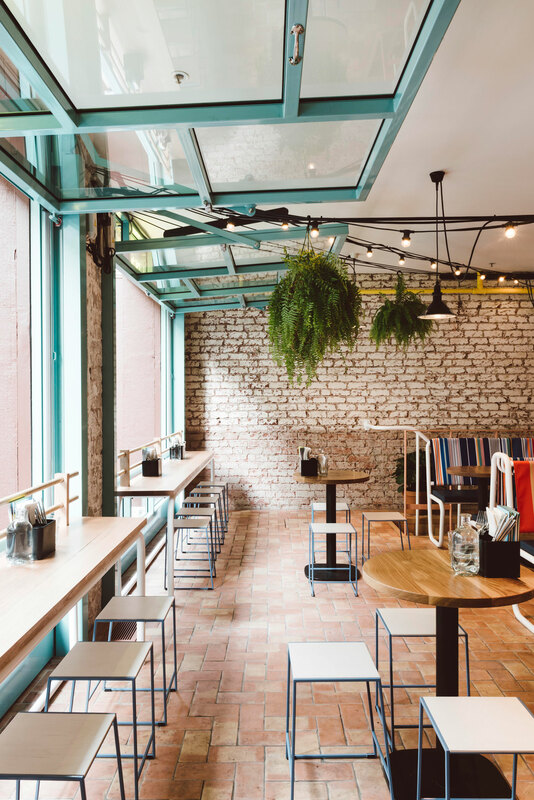 The new location is the third to join the Fonda family and continues its promise of a fast and fresh Mexican food destination. 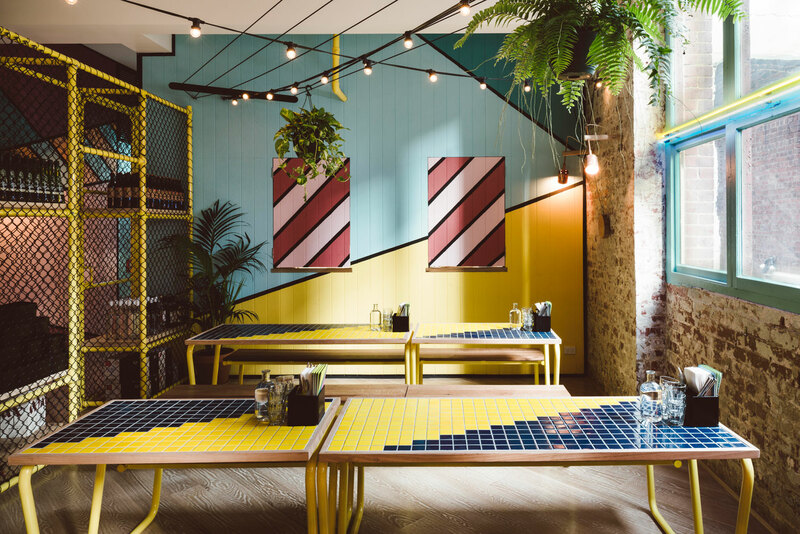 The new-look Fonda is set to turn up the heat in the city with its use of bold, playful colours throughout the space. 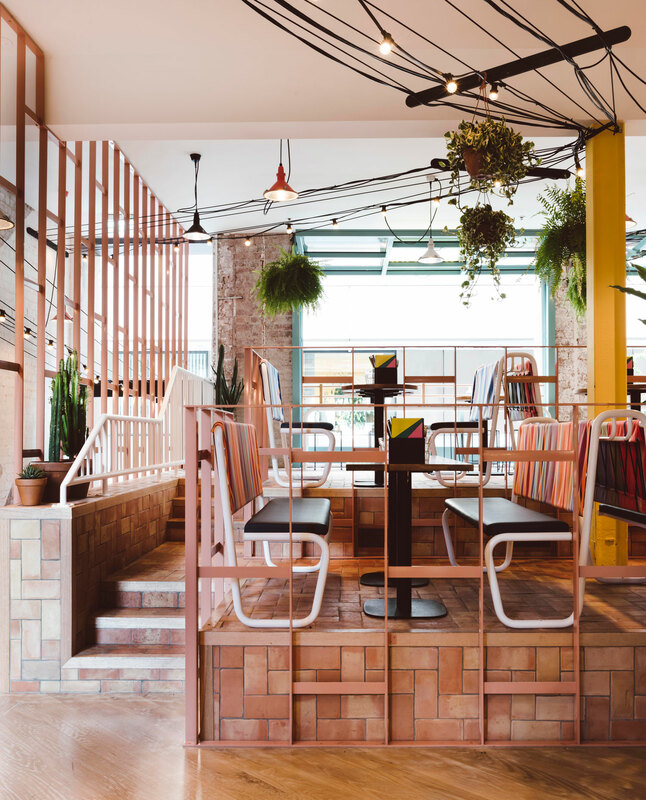 Graphics and branding by Luke Henley of Wild Hen Design emphasise the festive, Mexican vibe, which has become synonymous with the Fonda family. 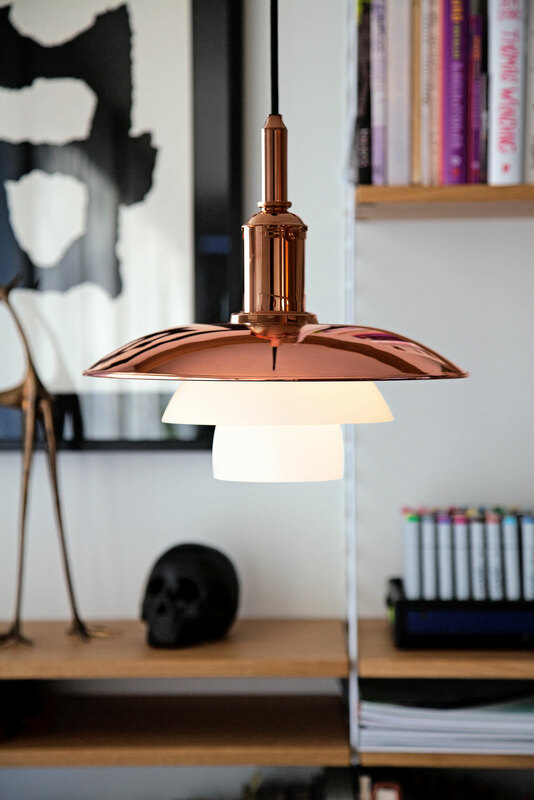 Limited Edition Louis Poulsen Copper Pendant at Living Edge. 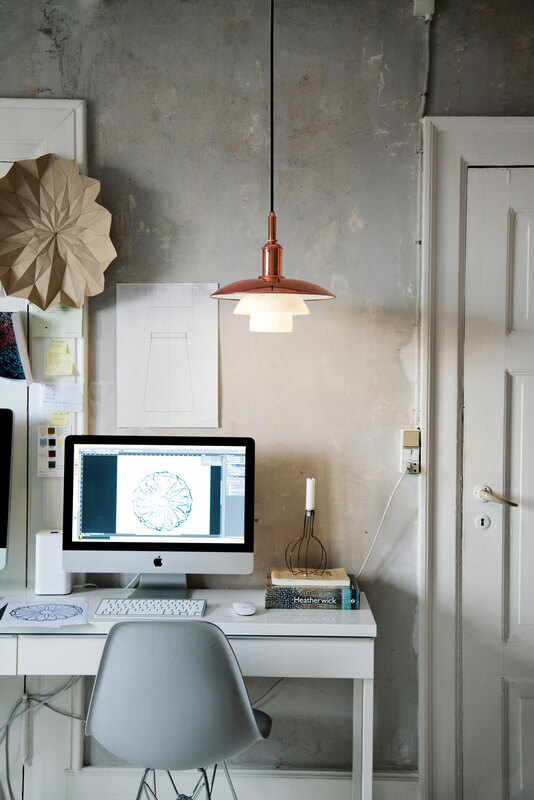 Living Edge welcomes Louis Poulsen’s limited edition PH 3 1/2 – 3 copper and glass pendant to Australia. To celebrate what would be the the 120th birthday of influential Danish designer Poul Henningsen, Louis Poulsen has released a limited edition version of one of his original lighting designs in copper and glass. The PH 3 1/2 – 3 copper lamp is equally beautiful switched off and illuminated. It is an elegant and contemporary homage to Henningsen’s unique contribution to design history. Rtist AGENCY presents the launch of m a r b r e & b o i s range. 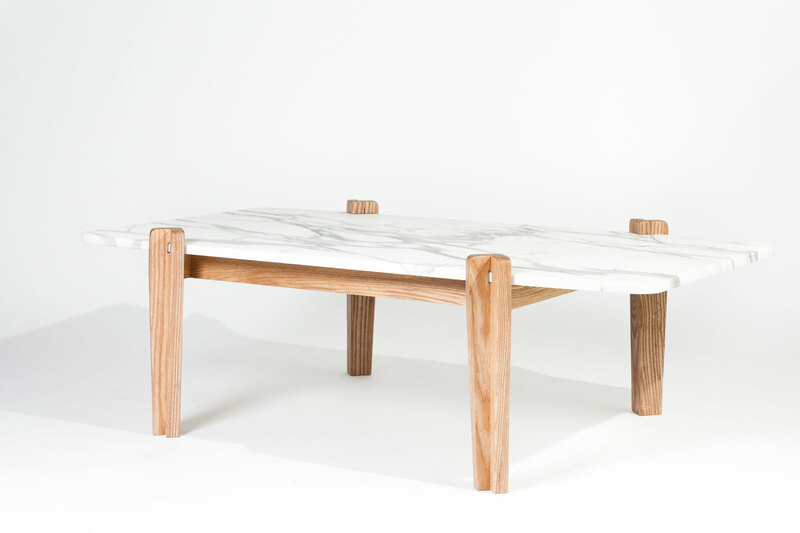 m a r b r e & b o i s marks Rtist AGENCY’s latest design venture, teaming up with furniture experts Byanka and Michael Hays, to create exquisite high-quality bespoke tables. Whilst each piece is lovingly hand-crafted in Australia, the range is inspired by Scandinavian design with an emphasis on simplicity and balance. 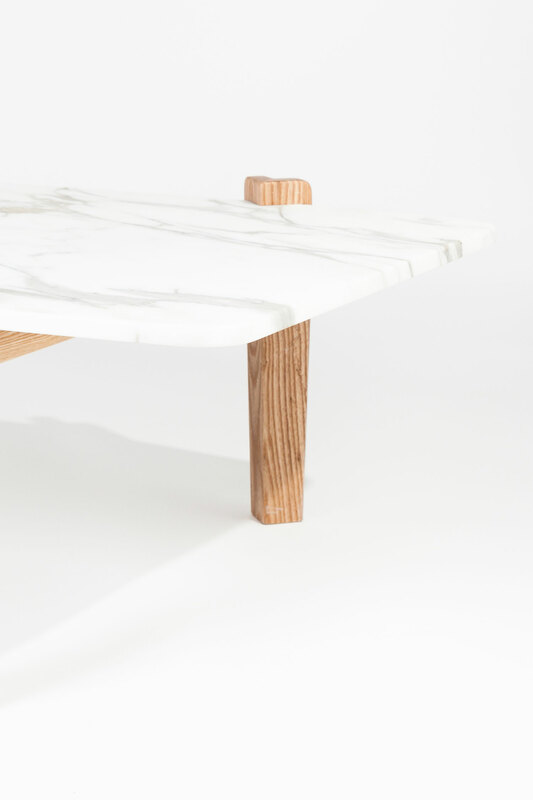 “Frankie Table’s modern, innovative and clean-lined qualities – combined with the natural elegance of marble and wood, is what truly makes this coffee table a work of art.” – Sarah Jane Muscat, Managing Director, Rtist AGENCY. 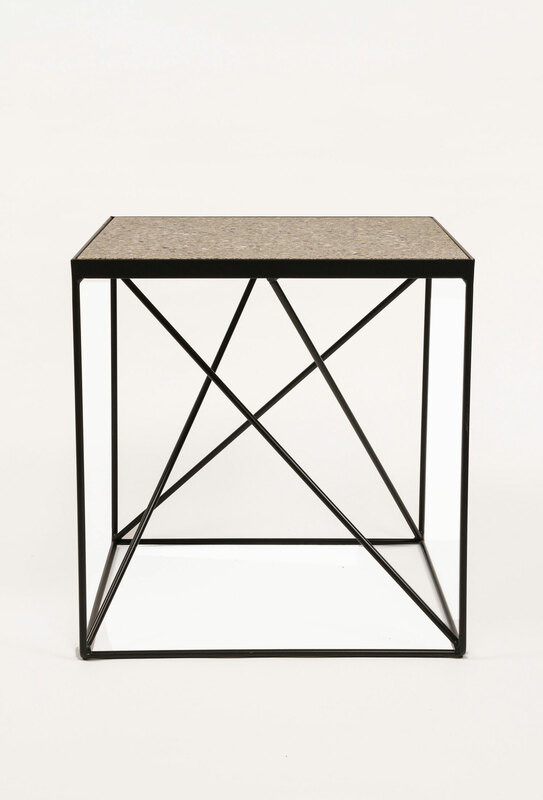 Alpha Stool/ Side table & Little Italy by Red Fox & Wilcox. 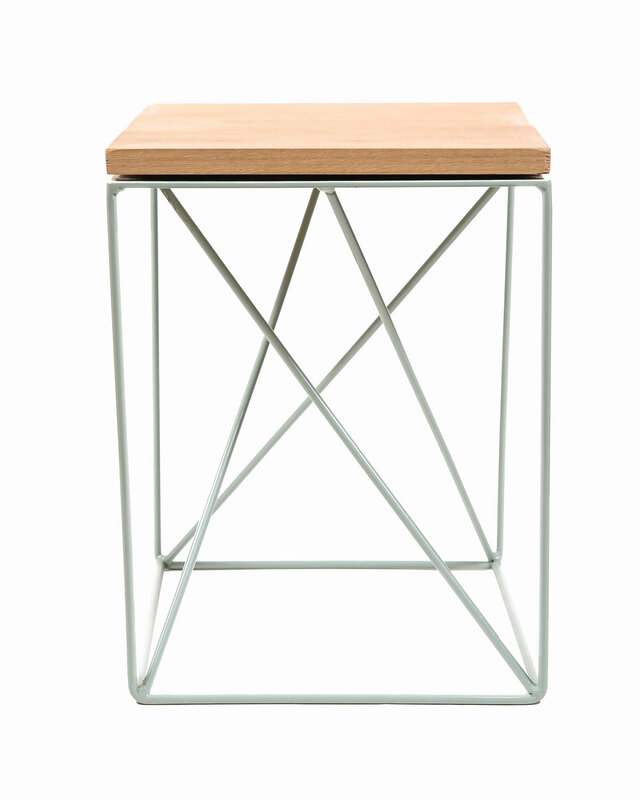 The Alpha is a playful design, ideal for use as a small side table or is the prefect height for a stool. The base is made with 8mm hand bent and welded steel which has been powder-coated and has a hardwood timber top. Little Italy is minimal and clean, perfect as a side table or coffee table and is suitable for interior and exterior use. The base is a similar design to the “Alpha” but has a coat of zinc for protection against the elements. Kiri Wood Spout by Wood Melbourne. 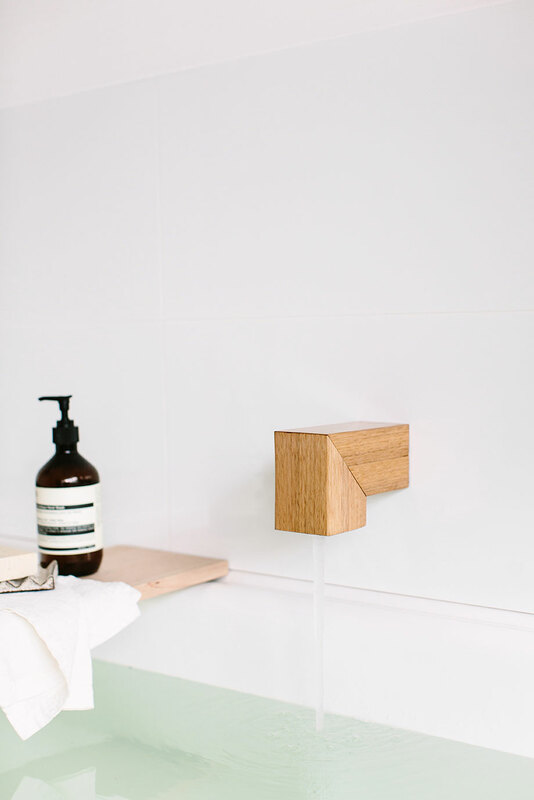 A love of all things timber is the driving force behind new Melbourne based company, Wood Melbourne, who are proud to announce the launch of their first range of reclaimed timber spouts. The range, which contains two timber spout designs, the Kiri and the Isla, are hand made from reclaimed 80 year old blackbutt timber. Simple to install and even simpler to maintain. 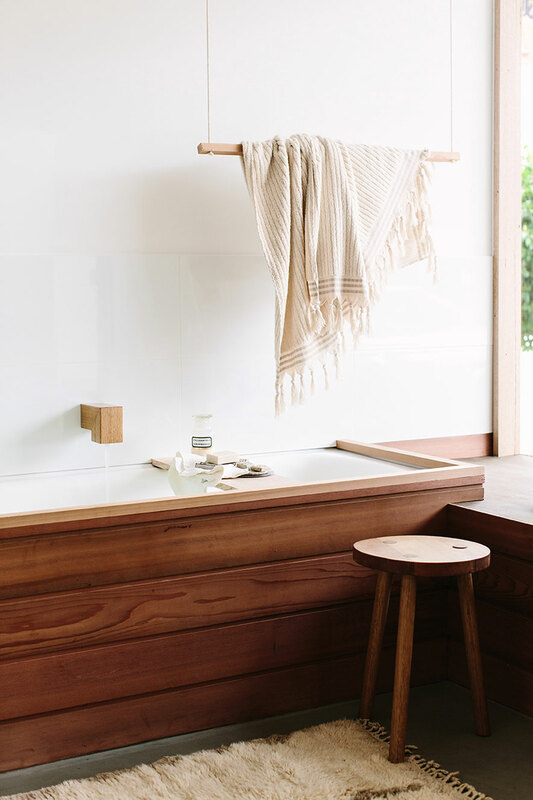 Australia’s very first producer of reclaimed timber spouts for the home. 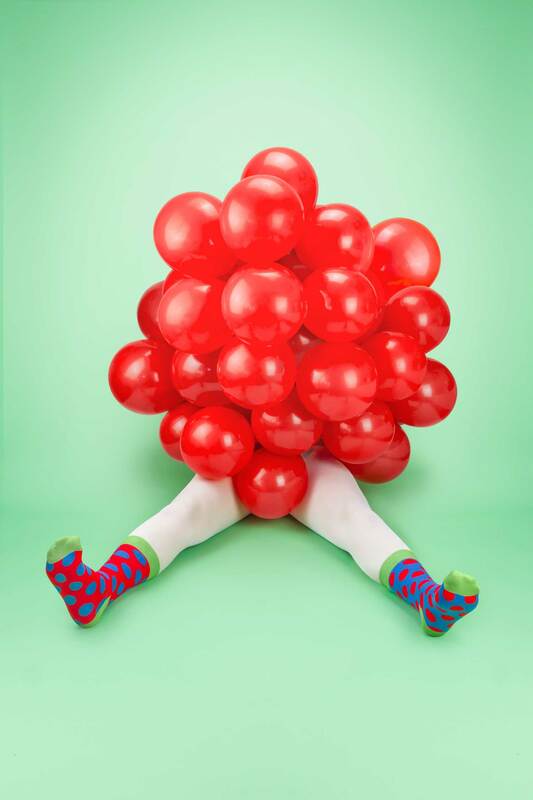 Eggpicnic Prints by Camila De Gregorio & Christopher Macaluso. 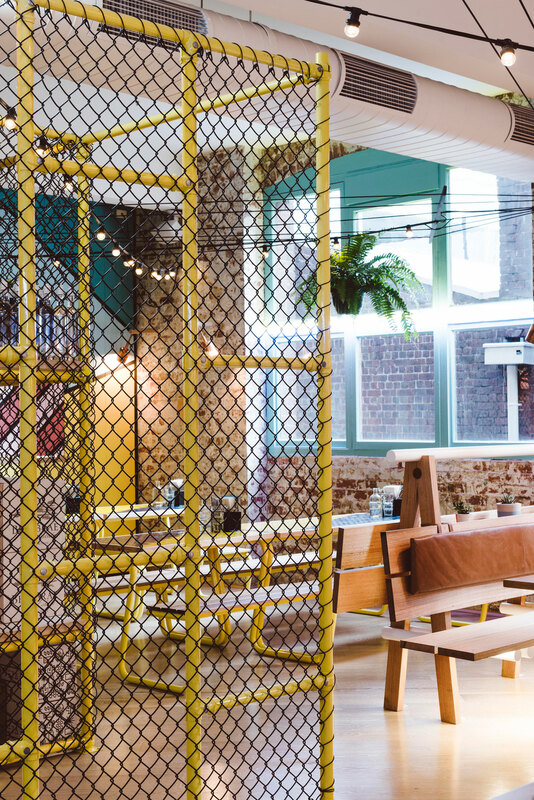 Eggpicnic is a Chilean-Australian design duo based in Sydney founded by Camila De Gregorio and Christopher Macaluso. 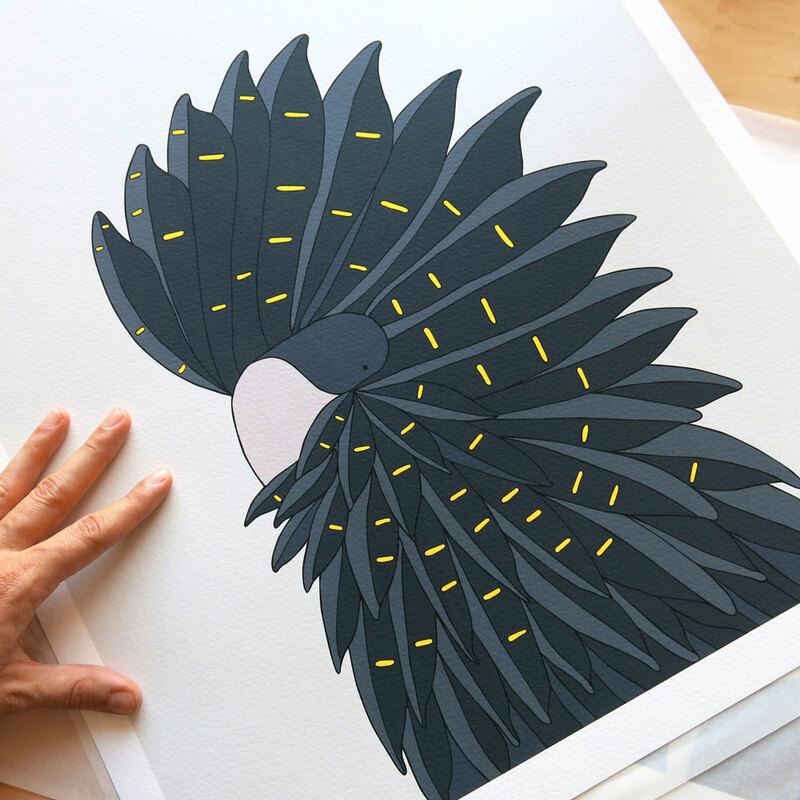 Eggpicnic prints was created to raise awareness about the major threats affecting bird species. The latest evaluation of the world’s birds reveals that more species than ever are threatened with extinction and disappearing from the skies. One of every five bird species could be extinct in the next 50-80 years. Odd Pears’ collaboration with Leta Sobierajski. Odd Pears is an Australian-based company founded by Brock Sykes. They sell socks in Pears, not pairs. A Pear is three individual socks, two matching, one odd. Leta Sobierajski is a multidisciplinary designer and art director living in New York City. 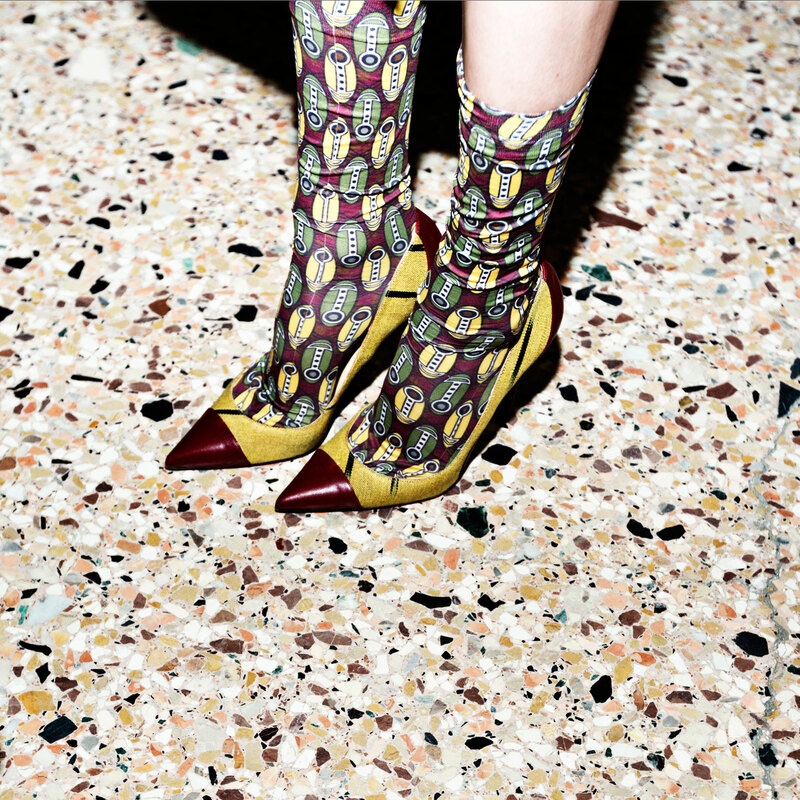 She combines mediums in design, photography, art, and styling to develop tangible compositions for print and motion. 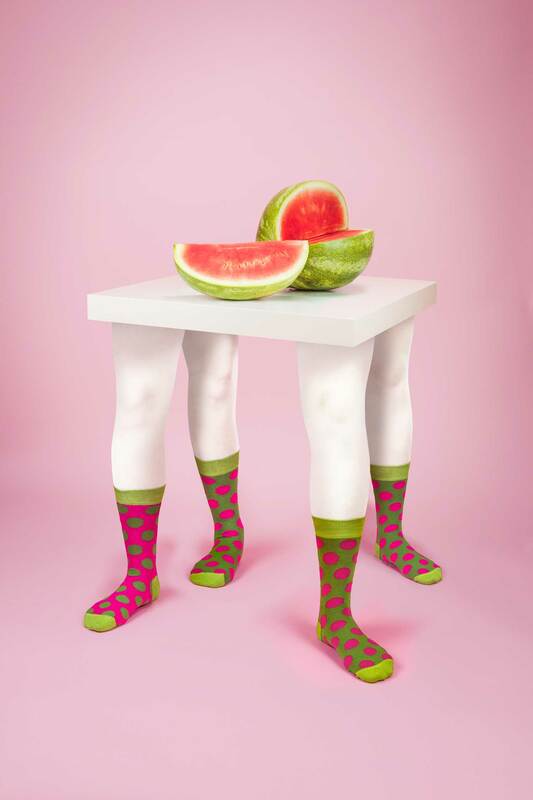 The result of this collaboration is a surreal, fantastically coloured group of face-less figures sporting Odd Pears in clashing colours and curious compositions, to be used as posters and postcards to promote their polka-dotted collection. 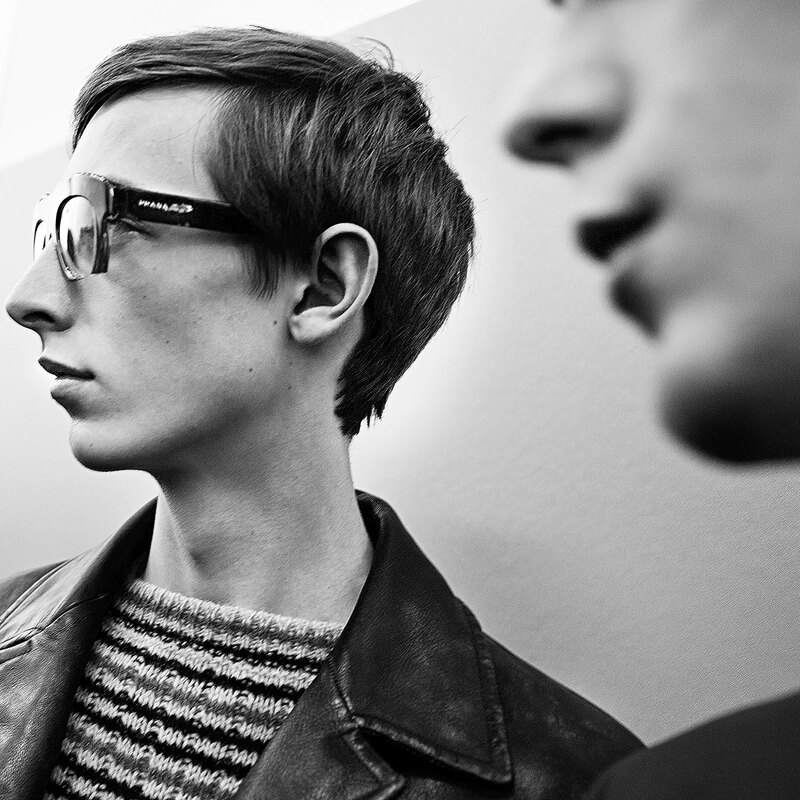 Backstage Diaries by Filippo Mutani, presented by EFNBE. Filippo Mutani is a Milan based worldwide contributor photographer for Getty Images. His fashion work has appeared on Vogue Italia, Vanity Fair, T-The New York Times, The Financial Times, IL, Max, A etc. His ‘Backstage Diaries’ exhibition will form part of Head on Photo Festival, Sydney. EFNBE is an art–design gallery founded in 2013 by the Italian architect Federica Martinetto, as a container of ideas for creative minds to collaborate on projects. EFNBE works with established artists, designers and photographers on the Australian market and with emerging ones helping them to achieve recognition in their artistic process. Sheats Goldstein House by John Lautner.